The NexGen Cloud Computing Conference kicked off on Thursday in San Diego with a fair amount of hype and a lot of sales people. Granted the intent of the conference is for cloud computing vendors to find and develop either sales channels, or business development opportunities within the market. As an engineer, the conference will probably result in a fair amount of frustration, but will at least provide a level of awareness in how an organization’s sales, marketing, and business teams are approaching their vision of a cloud computing product or service delivery. However, one presentation stood out. Terry Hedden, from Marketopia, made some very good points. His presentation was entitled “How to Build a Successful Cloud Practice.” While the actual presentation is not so important, he made several points, which I’ll refer to as “Heddonisms,” which struck me as important enough, or amusing enough, to record. Some of the following “Heddonisms” were paraphrased either due to my misunderstanding of his point, or because I thought the point was so profound it needed a bit of additional highlight. 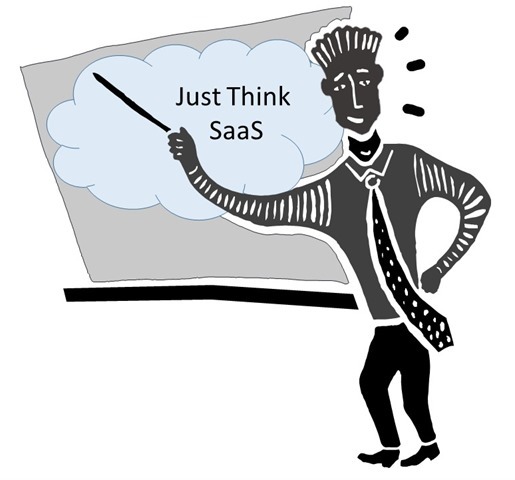 Entire software companies are transitioning to SaaS development. Lose the idea of licensed software – think of subscription software. Integrators and consultants have a really good future – prepare yourself. The younger generation does not attend tech conferences. Only old people who think they can sell things, get new jobs, or are trying to put some knowledge to the junk they are selling (the last couple of points are mine). Companies selling hosted SaaS products and services are going to kill those who still hang out at the premise. If you do not introduce cloud services to your customers. your competitor will introduce cloud to your customers. If you are not aspiring to be a leader in cloud, you are not relevant. There is little reason to go into the IaaS business yourself. Let the big guys build infrastructure – you can make higher margins selling their stuff. In general, IaaS companies are really bad sales organizations (also mine…). Budgets for security at companies like Microsoft are much higher than for smaller companies. Thus, it is likely Microsoft’s ability to design, deploy, monitor, and manage secure infrastructure is much higher than the average organization. Selling cloud is easy – you are able to relieve your customers of most up front costs (like buying hardware, constructing data centers, etc.). If you simply direct your customer to Microsoft or Google’s website for a solution, then you are adding no value to our customer. If you hear the word “APP” come up in a conversation, just turn around and run away. If you assist a company in a large SaaS implementation (successfully), they will likely be your customer for life. Don’t do free work or consulting – never (this really hurt me to hear – guilty as charged…). Customers have one concern, and one concern only – Peace of Mind. Make their pains go away, and you will be successful. Don’t give them more problems. Customers don’t care what is behind the curtain (such as what kind of computers or routers you are using). They only care about you taking the pain of stuff that doesn’t make them money away from their lives. Don’t try to sell to IT guys and engineers. Never. Never. Never. The best time to work with a company is when they are planning for their technology refresh cycles. Heddon was great. While he may have a bit of contempt for engineers (I have thick skin, I can live with the wounds), he provided a very logical and realistic view of how to approach selling and deploying cloud computing. Now about missing the point. Perhaps the biggest shortfall of the conference, in my opinion, is that most presentations and even vendor efforts solved only single silos of issues. Nobody provided an integrated viewpoint of how cloud computing is actually just one tool an organization can use within a larger, planned, architecture. No doubt I have become bigoted myself after several years of plodding through TOGAF, ITIL, COBIT, Risk Assessments, and many other formal IT-supporting frameworks. Maybe a career in the military forced me into systems thinking and structured problem solving. Maybe I lack a higher level of innovative thinking or creativity – but I crave a structured, holistic approach to IT. Sadly, I got no joy at the NexGen Cloud Computing Conference. But, I would have driven from LA to San Diego just for Heddon’s presentation and training session – that made the cost of conference and time a valuable investment. 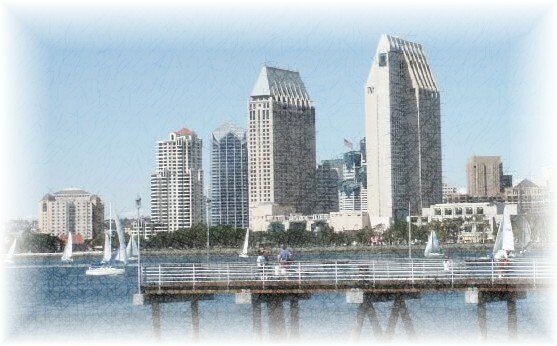 How attractive is San Diego as a place to start a company compared with the Silicon Valley? Santa Barbara? Los Angeles? On Thursday evening the “Sweat Equity” series of seminars sponsored by San Diego’s Software Industry Council (SDSIC) brought together a distinguished panel with a venture capitalist and successful entrepreneurs answering questions, drilling into their experiences, as well as exploring perceptions they’ve developed over several years doing business in San Diego. More than 50 interested attendees with the hope and aspiration of either starting their own company, or breaking away from the corporate world with a startup, provided an enthusiastic audience to support the discussion and Q&A. The panel tried to answer the question, through their experience, of whether or not San Diego is a good place to start a business. Starting with the question “How start up friendly is San Diego?” the panel thought the city rates a “good.” The universities around San Diego are graduating high quality workers, with a small community spirit nurturing fresh ideas and enthusiasm. On the question “Do San Diego-based legal firms provide adequate support for small companies?” the panelists were all generally positive. Russ Mann gives the San Diego legal community “two thumbs up,” but Allen Drennan cautioned that his only bad experiences with San Diego law offices were when he tried to save money with cheaper representation that his company ultimately suffered. The panel tackled the question “What is the quality of CTO-level game-changers in the San Diego area?” The general consensus of the panel and attendees was that San Diego lacks high powered CTOs, and start up companies generally must go out of the area to attract the talent they need to provide the vision and technical leadership need to get a tech-sector start up off the ground. The panel discussed the idea of industry clusters. Those grouping of similar companies that normally follow one successful company in a location, and highly qualified engineers and leaders “gravitate” towards the clusters. Unfortunately San Diego does not have any strong industry clusters at the level of an El Segundo (military/industrial), Silicon Valley, Boston, or similar clusters. This makes some highly qualified people somewhat reluctant to take the risk of moving to San Diego. Those who do find San Diego a good area to work are at a point in their life where they are interested in a better lifestyle, and the potential of a higher quality of life (as possible in Southern California). The same opinion passed through into the question of availability skilled technical developers, where the opinion of the panel was low, concerned with both local talent, as well as difficulty attracting high quality developers to the area. The low confidence in getting funding in San Diego continued into 2010, with Allen quoting a San Diego Business Journal article which indicated “there is very little investment money expected in San Diego” over the next year. All members of the panel added stories about VCs and companies they know who are aggressively going after potential investments in other parts of the country, with an emphasis on Silicon Valley – but not in San Diego. Having visited several areas in California over the past couple of years, including San Diego, Orange County, Los Angeles, Santa Barbara, and the Silicon Valley, the differences are very clear. Enthusiasm and aggressive threshold for innovation is most visible in Northern California. Returning to the idea of clustering, it is easy to meet clusters of innovators and visionaries by simply going to a “cluster watering hole” (bar) near the tech community, such as the “Fault Line” in Santa Clara. The people you meet are fearless, unconcerned with the economy or other external factors, and just want to talk about their ideas. Santa Barbara has a very enthusiastic community, but tend to be more interested in the business side of their future rather than working out strategies on how their ideas could be realized, and find a way to change the world. As a great place to live, it is impossible to beat Southern California. As a place to build a company, the Silicon Valley offers a pool of talent, better access to funding, well-defined technology clusters, and a buzz of excitement that is not easily located in other locations. On a personal note, I have been searching for the buzz in the OC, San Diego, Long Beach, and other areas of LA, but have to finally admit the buzz is much stronger in Northern California. We can change that, but the process requires a major shift in the local city governments, financial community, and aging business leadership to re-engineer Southern California as a valid competitor to the Silicon Valley. With notable exceptions such as Qualcomm, Boeing, Northrup, and some bio-tech leaders, it is hard to argue the percentages. Los Angeles and Southern California provide a great environment for manufacturing, logistics, entertainment, and other operations-oriented industries. But for today, the burden is on the south to provide an environment that will spawn the next Google, Cisco, HP, National Semiconductor, or Apple. “More than 90% of startup companies around San Diego compensate the founders and senior staff with stock options, grants, or restricted stock” advises Mike Kinkelaar, Partner at Procopio, a San Diego Law Firm. Mike joined three other panelists discussing “Sweat Equity” and senior management compensation at the San Diego Software Industry Council’s Entrepreneur’s Forum Thursday evening in San Diego (SDSIC). Timothy Willis, CPA at Mayer, Hoffman, and McCann P.C. Who deserves Sweat Equity Compensation? The panel introduced and discussed four major types of SEC, and went into a bit of detail on the descriptions of each. While there are obviously clear legal and financial descriptions available for each category of SEC, it was refreshing to hear the panel paraphrase those categories. Stock/ownership grants. This is really straight ownership of the company. Each stock grant has value, and presents a voting right for the company. This should only be considered for the founders, and possibly one or two C-Level executives. Grants are considered as income to the IRS and state. Stock options. Given more freely to employees. Most often these are incentive grants, either allocated as a signing bonus, or as additional compensation for better performance. Vesting period is normally around 2 years, at which point the employee is eligible to purchase ownership in the company. Warrants. Normally only issued to financiers and banks – not recommended for employees or senior management. This is legally considered a form of stock option. Non-Incentive Stock Options. This is more on the line of friends and family options, and given to those who would not normally receive an option based on performance or other incentives. Of course there are other forms of stock, ownership, and management of those forms of equity distribution, however the above are those most commonly used as tools by startup companies to provide additional ownership incentives to owners, employees, investors, and financiers. All panelists were in violent agreement on a few major points. The main point is to ensure you consult with a lawyer when legally setting up your SEC plan. Mike emphasized this is not a lengthy or expensive process, as all reputable law firms have this plan on the shelf. With the number of startup companies emerging each year, law firms deal with the SEC plan as a routine part of the startup process. It is well-understood, simple if done up front in the startup process, and not difficult to understand. Consult with a local small business bureau. Most cities or counties have a very good group of volunteers and professionals happy to assist startup companies with their structure and compensation planning. Keep your legal documents as simple as possible. Make sure your SEC documents are complete – do not defer items to a later, this will nearly always result in unforeseen tax and legal issues. Set up the volume and percentages of shares allocated to grants, options, and warrants at the beginning, again even if you do not plan to allocate right away. Ensure the founders and early stage recipients of SEC fully understand the compensation plan, as most problems and legal disputes with ownership and options occur with founders or senior SEC recipients who leave the company, are disgruntled, or have other issues with the founders. Establish a qualified stock option plan as quickly as possible – even if you do not plan to use sweat equity compensation in the early stages. It is best to have this legal framework in place from the beginning. Do not allow accelerated vesting of shares for other than founders or C-Level executives. This may result in a potential buyer finding the cost of acquisition much more expensive due to the ownership of shares becoming a higher cost to the buyer. Most employees do not understand the concept of stock options, grants, and taxation. Many employees do not understand items as simple as grants being considered income, and options being considered something for which you eventually will have to pay tax. There are many people who get hung up in the percentage of a company they will own due to grants and options. They do not understand that the only value to stock ownership percentages is when the share gives you the power of vote – and that vote is only useful when it has value within the articles of incorporation, or when it is not overruled by the board of directors. Many people still believe that percentage ownership is the highest priority, when they should understand the only value of shares is actually when you are receiving distributions (unlikely with a startup company), when you sell your vested and common stock shares, or when an equity event (sale of the company) results in a new ownership “buy back” of your shares. The only value of shares is when you sell the shares and receive cash for those shares. Dilution of share percentage ownership in a company is normal, and expected. This will only become more apparent as the company continues to grow, receives additional investments, is acquired, or becomes a public company. In short, control by a small group of individuals will be diluted if the company is successful. Employees must also fully understand the tax implications of all categories of SEC. many states, including California, allow the employee to either pay for the value of an option or grant up front, or defer to a later date. Many, many young employees who do not understand the concept of stock options find themselves with huge tax liabilities when their options vest. This should be explained and clear to employees up front so they do not both have a shock, as well as become disgruntled and ineefective if they are hit with a bad tax situation. There were many more topics discussed, impossible to codify into a single blog. However a great panel, great audience, and a good use of a Thursday evening in Southern California. Silicon Valley – keep your eyes open to the south. San Diego is a very robust technology community, and organizations such as the SDSIC are focused on making it grow. There are many retirees from US and international companies settling in the great communities surrounding San Diego, and many of those successful people are starting to give back to the community through organizations such as the SDSIC. There is a great energy in the community, with very bright people being pumped out of schools such as San Diego State University and the University of California at San Diego. Both schools have robust tech programs, and both are well-respected on a national and global scale. The SDSIC splits its focus to provide both training to members on a variety of business skills related to technology, as well as bring a professional networking venue to help create business and individual career opportunities. The SDIC has a very robust schedule of weekly meetings, with an uncanny ability to attract high quality speakers and professional instructors. The topics are broken down into several different Business Interest Groups (BIGs), with the objective to bring professionals together in an environment that will hopefully stimulate new relationships. The SDSIC is very similar to OCTANe (serving Orange County), representing a very positive community-supported effort to help develop business and people. Larry focused on developing landing pages which would serve a single purpose, an emphasis on expanding existing markets. Key to this purpose is the process of creating a very strong user experience. To accomplish this task you will need to have very good information on your expected or target demographic. One interesting point made during the presentation is the idea that we should focus on the role a person plays, not their title. Roles can also be thought of as different hats an individual may wear depending on their current objectives. The role a person is engaged with at any time will determine their motivation for connecting to a landing page or other resource. An effective landing page will engage that person, providing some value for the person in the form of a downloadable white paper or other desired information. Other topics such as the user “sense of progress” through the landing page and sub-pages, sense of gaining value from their time on the site, collecting contact and lead information from the landing page visitor, and developing a relationship of trust with the visitor gave even the most seasoned web designers in attendance with some new ideas and reason to question their own approach to landing pages. Larry uses the above quote from Lewis Carroll as a recurring theme in his presentations and web site. You need to know where you are going. Else you are likely to spend a lot of time and resources getting nowhere. Read more of Larry’s thoughts and wisdom at his blog. Larry has more than 20 years in user experience design, a degree in Cognitive Sciences (from UC San Diego), and 15 years experience working as a computer systems specialist.